WordPress Black Friday 2018 is here. WordPress community participate in the BlackFriday and Cyber Monday celebrations with some fantastic deals and offers. Here at WPRichSnippets.com; like every year, we don’t want to miss out this as well, so we brought to you amazing offer..
It’s a great opportunity for WordPress users to grab this awesome deal and discounts on. So, hurry up since this is a limited time offer! 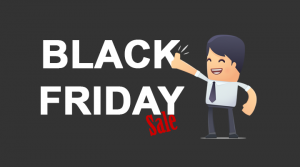 It’s that time of the year where WordPress community participate in the BlackFriday and Cyber Monday celebrations with great deals and offers. Here at WPRichSnippets.com, we don’t want to miss out this as well, so we brought to you amazing offer..
It’s that time of the year where WordPress community participate in the BlackFriday and Cyber Monday celebrations with great deals and offers. Here at WPRichSnippets.com, we don’t want to miss out this as well, so we brought to you amazing offer for the early birds.